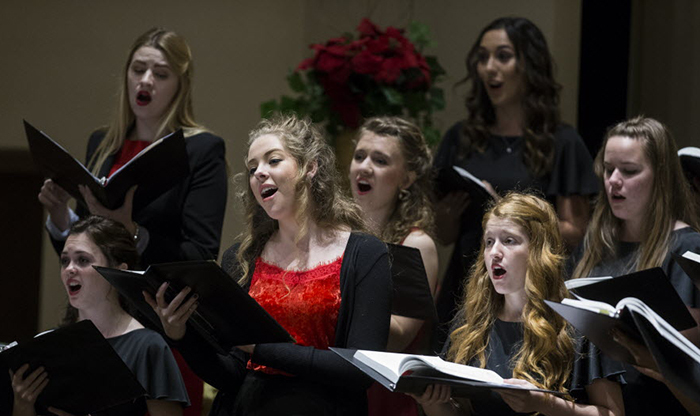 The Canyon Chorale will perform Arnesen’s 25-minute “Magnificat” and other works Thursday night at the Music Department’s annual Christmas concert. Arnesen wrote the 25-minute work, commissioned by the Nidaros Cathedral Girls Choir, in 2010. It made its debut at Nidaros Cathedral in Trondheim, Norway, and a recording of the composition, released in 2014, was nominated for a Grammy Award for Best Surround Sound Album in 2016. “Magnificat” centers around the text of Luke 2, which tells of the birth of Jesus. “It’s a slow-moving piece, so the challenge is to bring in the emotion of the text – to experience the conflict Mary was experiencing in herself: the awe, the expectation, the fear and the joy, all at the same time,” said Assistant Dean of the College of Fine Arts and Production Dr. Juan de Dios Hernandez. A Pentatonix medley, works by Dan Forrest and more will be part of Thursday night’s Critical Mass repertoire. 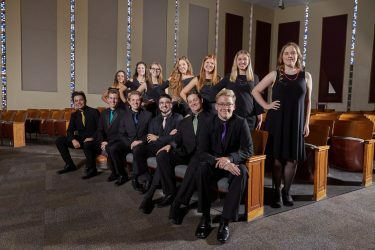 In addition to the Canyon Chorale, also taking the stage will be Critical Mass, a group of 12 vocalists whose repertoire is wide-ranging and whose performance reach is wide-ranging, too. You’ll notice the ensemble at everything from commencement to Family Weekend. On the repertoire for the evening for Critical Mass will be two Dan Forrest pieces. 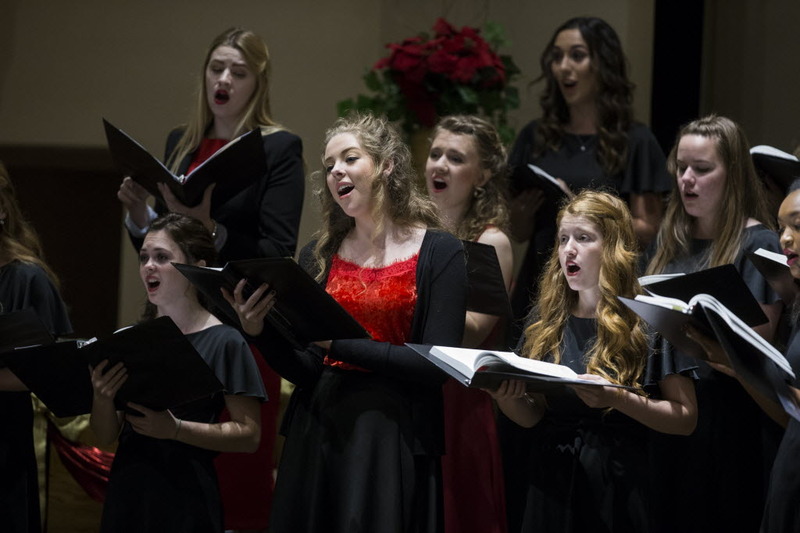 One is “See Amid the Winter’s Snow” and the other is “The Work of Christmas,” an a cappella piece whose text is based on a poem by educator, theologian and civil rights leader Howard Thurman. The poem challenges us to live out the Christmas story in practical ways: “When the song of the angels is stilled/ When the star in the sky is gone/ When the kings and princes are home/ When the shepherds are back in their flock/ The work of Christmas begins,” go the lyrics. The Forrest, Whitacre and Gjeilo works will be performed with piano and string quartet. Hernandez said the concert, as it does annually, features traditional choral music in a wide variety of styles. A couple are a cappella numbers. Two classical pieces by contemporary composers will be performed, and two Christmas carols are among the mix as well. Hernandez said Christmas presents the perfect time for the choir to embrace the mission of the University. “The primary purpose of Christmas is to celebrate the birth of the Savior,” Hernandez said.